Combine contemporary style and timeless elegance with this two ring stack. Each ring is carefully crafted in our Welsh studio, they can be bought separately or ordered together as a pair. 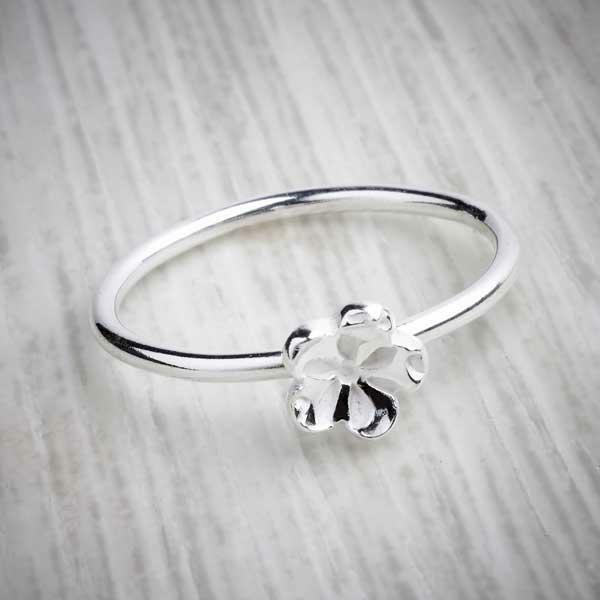 Whether it’s a birthday gift for a friend or an addition to your own jewellery collection, this ring is ideal for a lover of pretty jewellery with a twist. 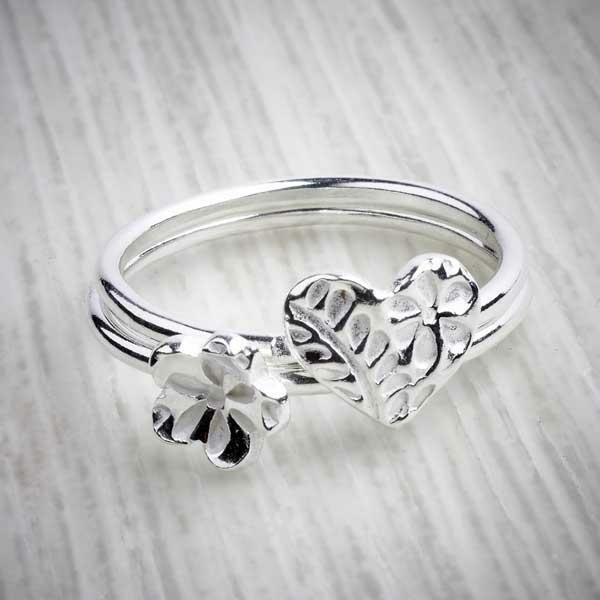 Each ring is individually imprinted with a delicate floral pattern that makes it wonderfully unique. 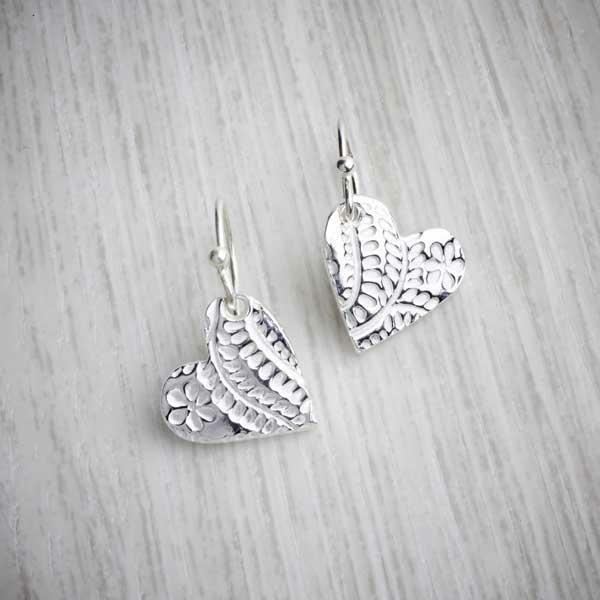 All of our jewellery is made at our studio in the Welsh countryside. We take our inspiration from Mother Nature so we do all we can to protect the environment around us. Using Precious Metal Clay means we can use a technique similar to pottery-making and minimise damage to the environment. The rings are available in UK ring sizing and in 12 different sizes I - T. Other sizes can be made to order. 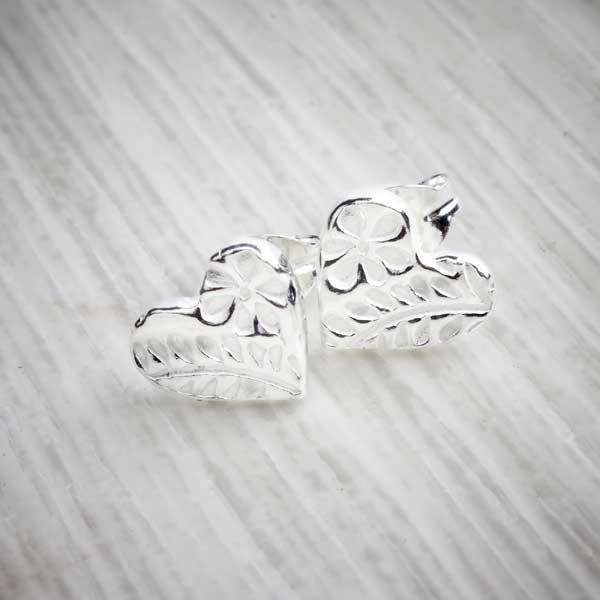 The heart and flower charms are made from Precious Metal Clay (PMC) and the ring is made from sterling silver. 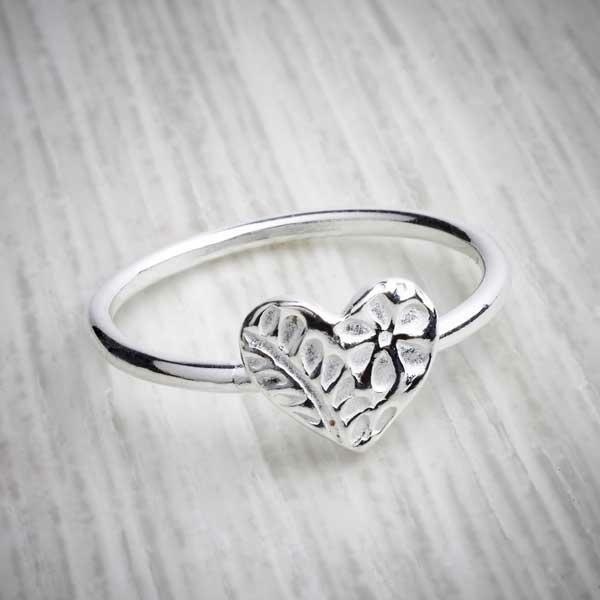 This ring arrives in a lovely gift box in a crisp white finish with our logo printed on top. It’s ready to either finish with a ribbon or give directly to the recipient. To keep your ring in the best condition, try to avoid wearing your jewellery whilst doing strenuous exercise and do not put it into contact with chemicals like skin and hair products or perfume. 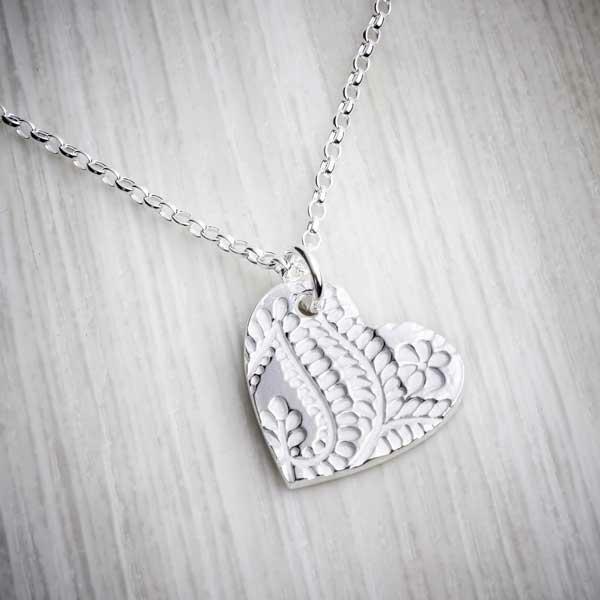 Over time, silver can naturally tarnish but you can breathe fresh life into silver pieces with a silver polishing cloth that you can purchase from jewellers, hardware shops and supermarkets. Remember to store your jewellery in the original packaging. Ensure that you don’t store your ring in direct sunlight or hot, damp conditions like bathrooms.